The three doshas are the basic biological energies in all of us; the doshas govern all our physical and mental processes. Each dosha is derived from a combination of two of the five elements in our universe (Pancha Mahabhutas) – vata is composed of the air (vayu) and space (akash) elements, pitta comprises the fire (agni) and water (jal/apas) elements while kapha is formed through the water (jal/apas) and earth (prithvi) elements. Each person has a single dosha that is predominant in their constitution or more commonly two dominant doshas and in rare cases some people have all three doshas in equilibrium. People who are ‘tridoshic’ are blessed with a strong immune system and excellent overall health. However, an imbalance in their doshas can affect their temperament, physical constitution, and their health. Following a structured daily routine may seem quite unnecessary and may even appear to be a time consuming activity that deprives you of still more down time. In reality, it’s a one time investment with great returns. A disciplined routine helps streamline your day, increasing productivity and leaving you with more free time. Following a daily routine that is in sync with your prakriti also helps maintain your dosha balance – the key to a happy and healthy life. Morning is the most important part of the day as it sets the tone for the rest of the day. If you wake up feeling lethargic and tired, you are likely to have low energy levels throughout your day. Follow a regular morning routine on a daily basis to improve your physical and mental health and keep your doshas balanced. Wake up early: According to Ayurveda, the best time to wake up is approximately one and a half hours before dawn; this is called brahma muhurtha. However, this is not an option for most people, given our current lifestyle. Decide on a specific time to wake up on a daily basis and keep this within an hour of sunrise – this will help to sync your circadian rhythm (internal body clock) with nature. Wash your face, mouth, and eyes: Rinse your face with water and then gently wash your eyes. Massage your eyelids using circular motions, then blink seven times and rotate your eyes clockwise and anti-clockwise. Fill your mouth with water and swish it around a few times before spitting it out. Lastly, splash your face with water a couple of times. Spend time on oral care: Oil pulling (gundusha) is an ancient Ayurvedic technique to improve dental health as well as overall health. It also helps to extract ama (toxins) from the body so that they can be easily expelled. You should also take the time to scrape your tongue gently but thoroughly with a tongue cleaner as this will get rid of the upper layer of bacteria that has formed on your tongue during the night. 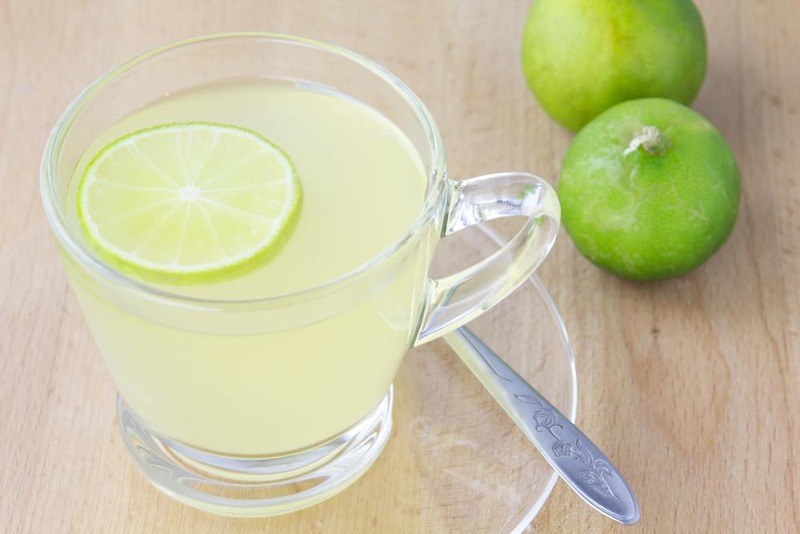 Drink a glass of warm lime juice: Add the juice of one lime to a glass of water and sweeten it with honey. The warm water helps to stimulate your digestive fire (agni), while the lime juice aids digestion and improves mineral absorption. Honey has ‘scraping’ (lekhana) properties that help to remove cholesterol and toxins from your body. Evacuate daily: In the beginning, you may not feel the urge but simply sitting on the toilet can help you have a bowel movement (and prevent constipation). Regular evacuation is important so that it develops into a daily habit. Perform Yoga asanas and pranayama: A short yoga session along with morning pranayama will help to increase circulation, improve muscle tone and give you better mental focus. Afternoon is often the most productive portion of your workday. However, it is important to schedule your tasks and allocate your time wisely so that you can increase your productivity during this time. Eat in moderation: Do not have a large meal at lunch as this will make you feel sluggish and weary. If you are particularly rushed, you may be tempted to skip your lunch. This is a bad idea as skipping meals will impact your digestion and overall health; additionally, your hunger will distract you from your work. Do not drink water with your lunch: Do not drink water or a cold soda with your lunch – this will dilute your stomach acids and impede the digestive process. If possible, drink a glass of hot water approximately thirty minutes before lunch to stimulate the production of digestive juices to aid digestion. Drink ginger tea after your meal: Drink half a cup of ginger tea (without milk) after your meal to aid digestion and prevent problems such as indigestion and bloating. Ginger is high in pitta so keep your tea mild to prevent a pitta imbalance. Take a breather: Take short breaks between tasks as this will help to calm your mind. Focus on your breathing and use yogic breathing techniques to improve your concentration. Evening is a time of transition – it is the time when day turns into night and it is also when we transition out of our work mode. An evening routine is important as it allows you to shake off the lethargy of your sedentary job and become a little more active. Leave office on time: Working long hours will cause an imbalance in your doshas, period. Staying back after office hours will not only ruin your work-life balance, but it will also increase your stress levels and leave you vulnerable to illness and chronic health issues. Schedule your tasks so that you don’t have to stay back after office hours on a regular basis. Reduce your screen time: Vata pitta kapha individuals enjoy good health only as long as their doshas are balanced. Unhealthy habits such as watching TV extensively and having little to no exercise on a daily basis can aggravate their kapha dosha, which would result in an imbalance. Exercise in moderation: Daily exercise is necessary for physical, mental, and spiritual health. 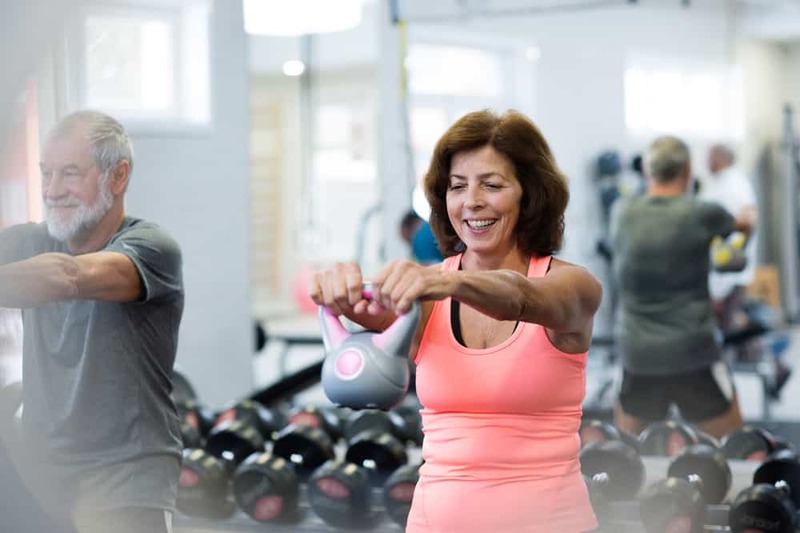 Once you get home from work, have a quick shower and then head out to the gym or a nearby park for a quick jog or a moderate intensity workout. Regular exercise will reduce ama (the build-up of toxins) and help to keep your doshas in balance. Ideally, you should eat your dinner by six and sleep by ten o’clock. This may not be feasible for everyone, as many of us are still at work until well past seven. However, what you can do is have regular dinner and sleep timings. Don’t rush through your night routine; instead, allow your day to wind down and come to a close. Have a lukewarm shower: When you come back from your walk/gym, rest for approximately twenty minutes and then hop into the shower. Don’t have a hot shower, a lukewarm or slightly warm shower is best. Don’t watch TV during dinner: Don’t watch TV during dinner as this will prompt you to rush through your meal which will weaken your digestive fire (agni). Be mindful of the food you are eating and engage in conversation with family members as this will help to strengthen family ties. Go for a walk: A stroll after dinner will improve digestion and help to prevent common digestive problems such as indigestion, constipation, and diarrhea, which are caused by dosha imbalances. Massage your feet: A relaxing foot massage with a massage oil made from sesame oil and an essential oil like jasmine, orange, or rose will help to restore dosha balance. Avoid electronic devices before bed: Get off your phone and laptop for at least 30 minutes before you go to sleep as the blue light from these devices can aggravate dosha imbalances. Due to the unusual nature of the vata pitta kapha type, these individuals can suffer from an imbalance in any of the three doshas. Digestive disorders are one of the first symptoms of a dosha imbalance – a vata imbalance is likely to result in constipation and bloating, a pitta imbalance would cause acid reflux and diarrhea, while people with high kapha are more likely to experience an uncomfortable feeling of heaviness in the stomach and sticky bowel movements. A dosha imbalance can also affect an individual’s personality – those with high vata are likely to feel anxiety and fear coupled with scattered thoughts and mental stress, those with high pitta tend to be impatient, frustrated, and irritated, and people with high kapha are likely to feel listless, lethargic, and dull. The fast pace of modern life makes it difficult or even impossible to follow the ideal Ayurvedic daily routine (dinacharya). However, making even small changes to your routine will bring you closer to life’s natural rhythms and allows your internal body clock to adjust to the rhythms of nature. 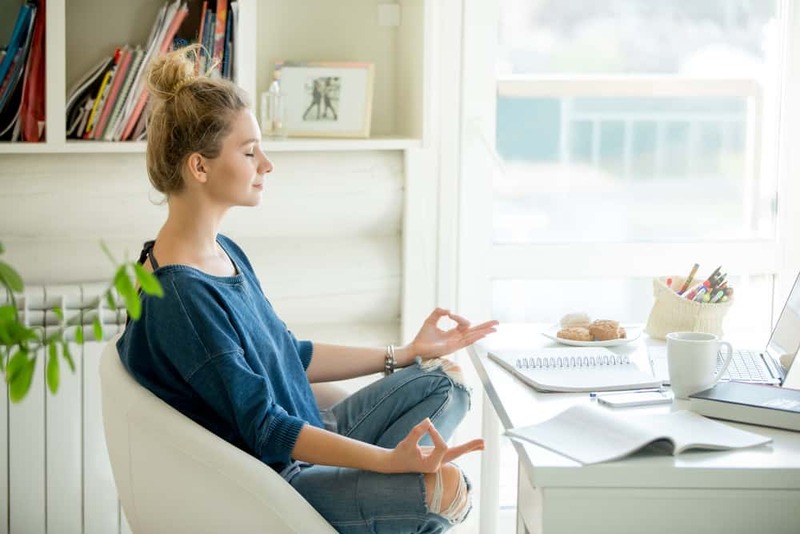 The important thing to remember when creating your daily routine to balance your tridosha is that you should start slow and only tweak your schedule once you are certain that you can manage to stick with it. Diet and nutrition has the biggest influence on your dosha levels. Find out how different foods affect the doshas and follow a vata-pitta-kapha balancing diet to preserve your optimal dosha balance.